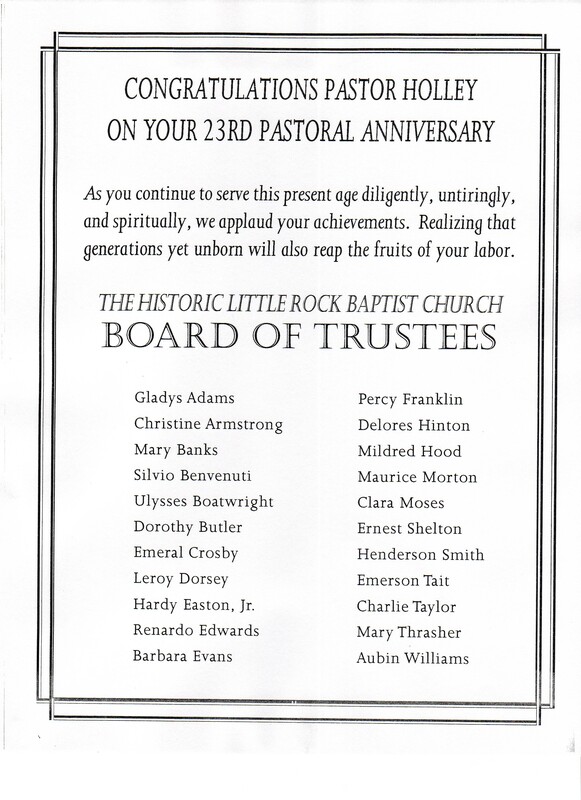 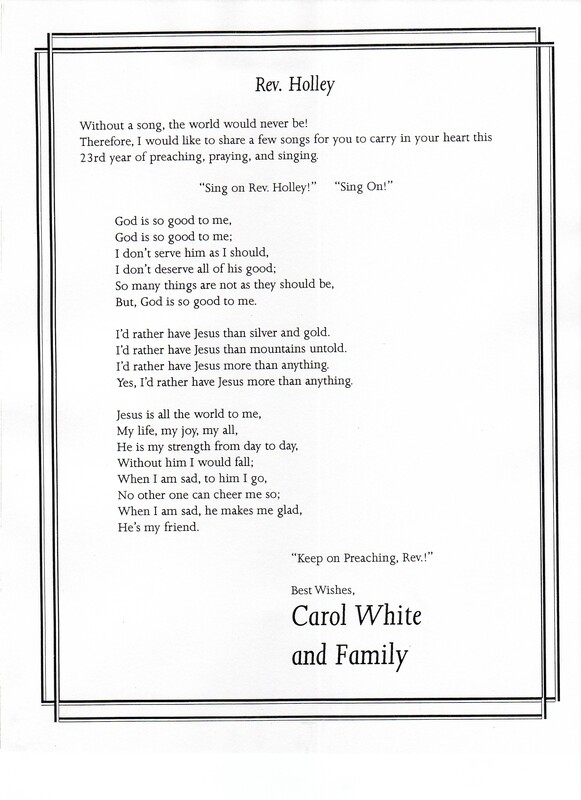 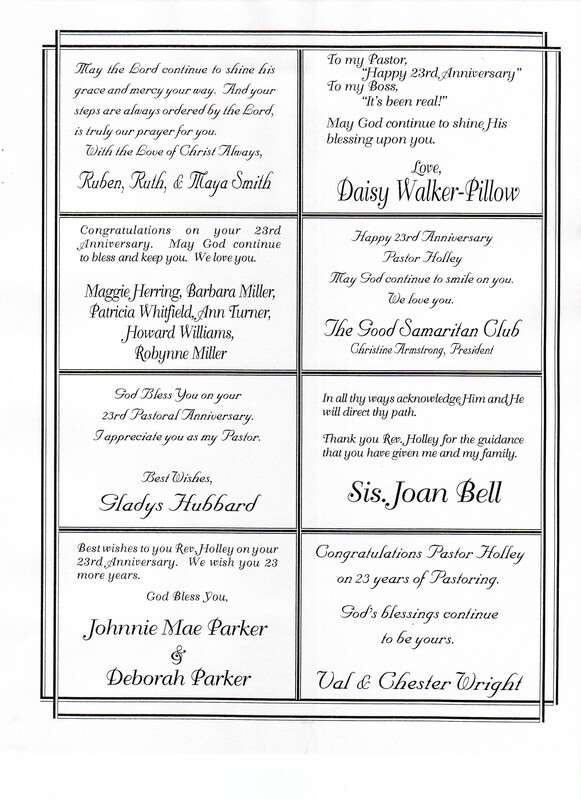 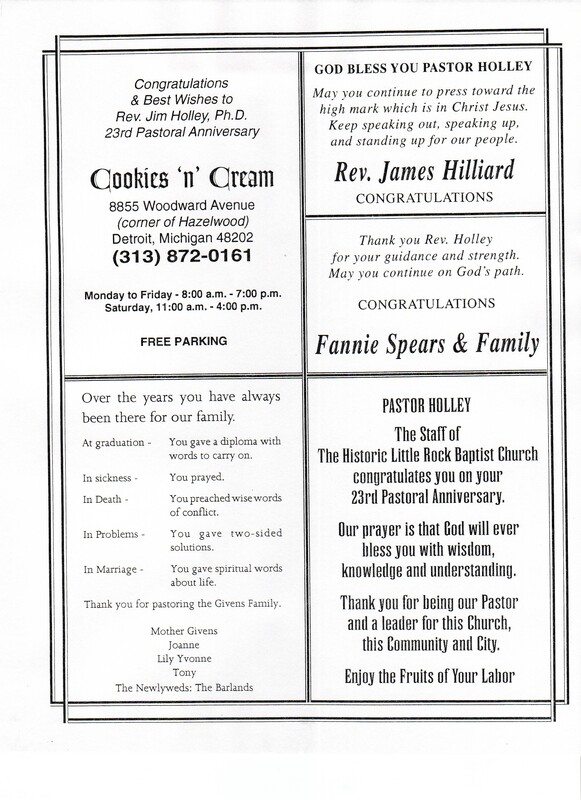 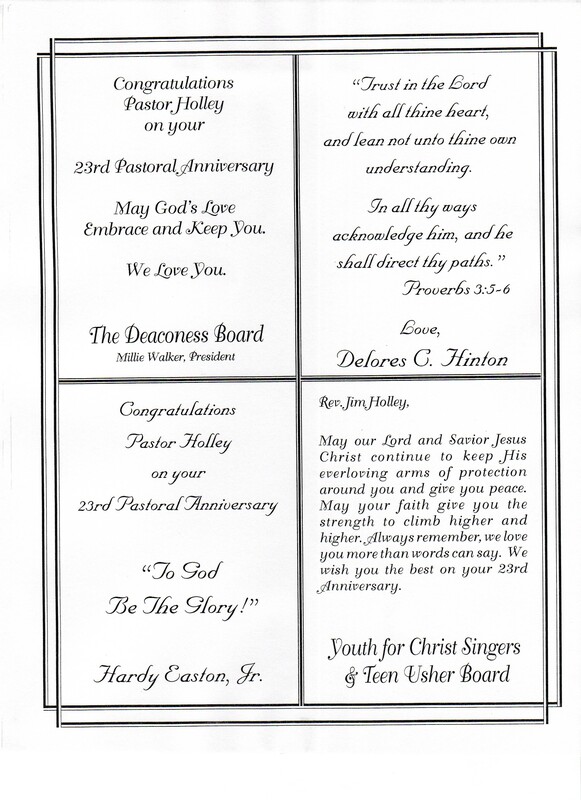 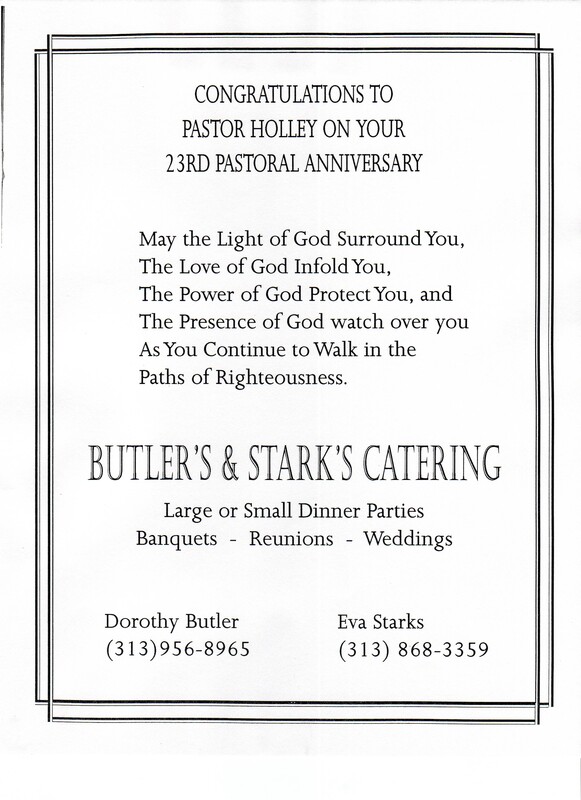 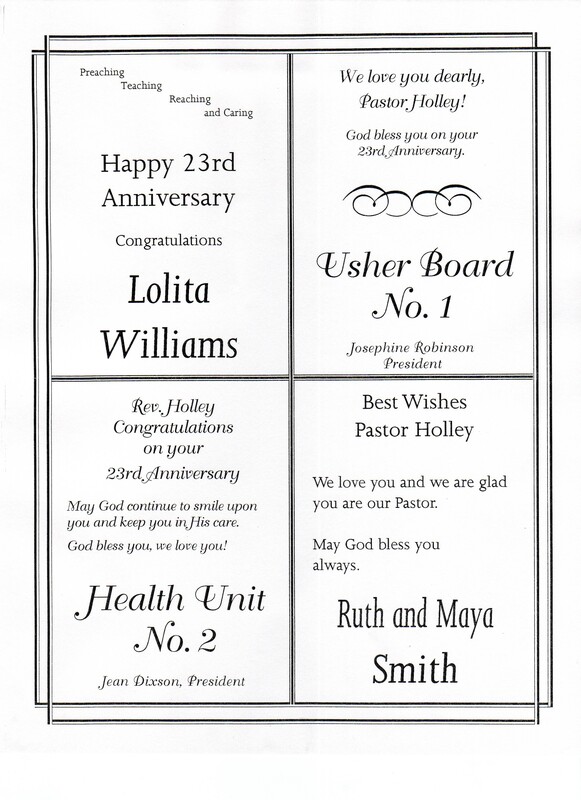 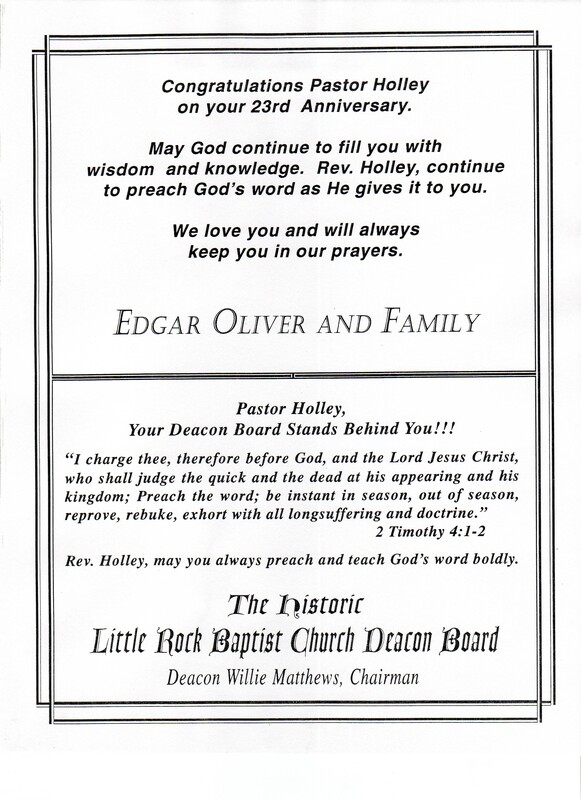 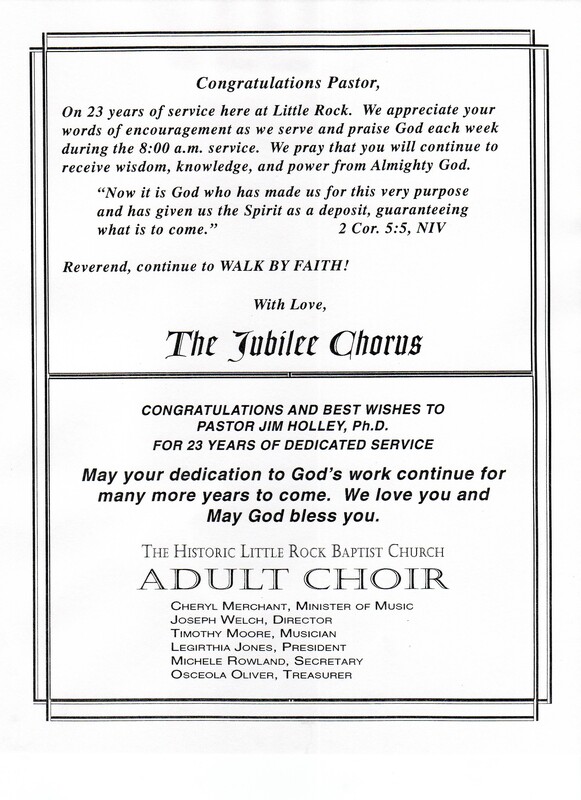 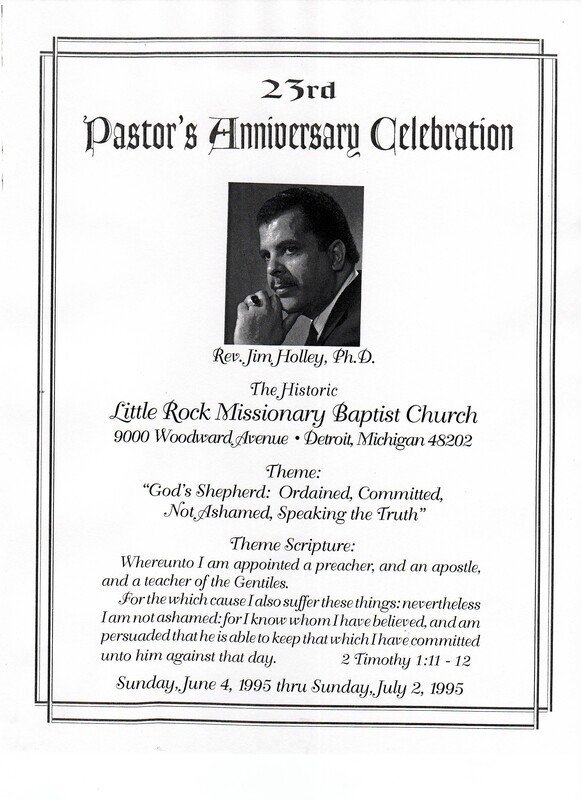 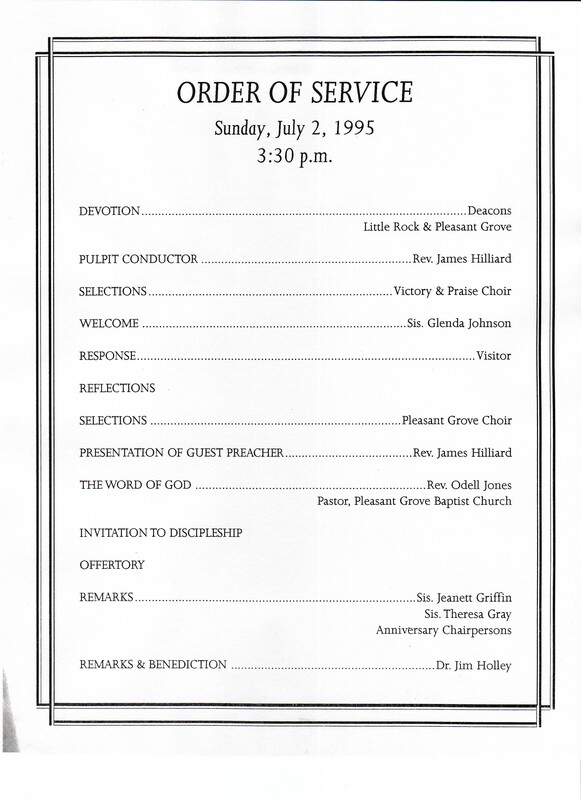 Description: Program from the 23rd pastoral anniversary of Rev. 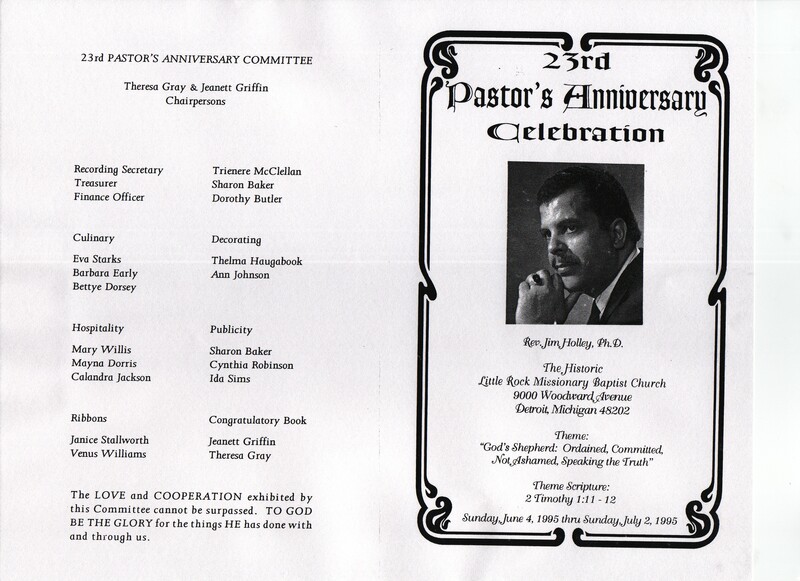 Jim Holley. 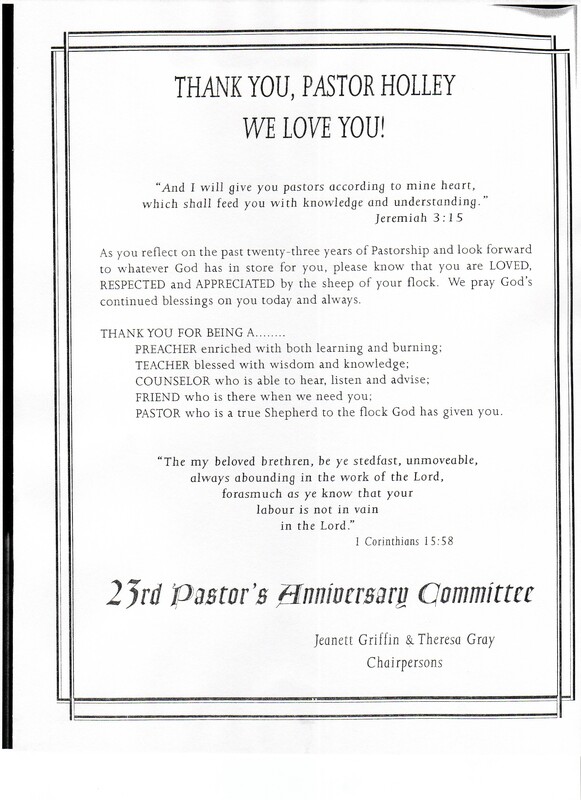 Contains written messages from church patrons to Rev. 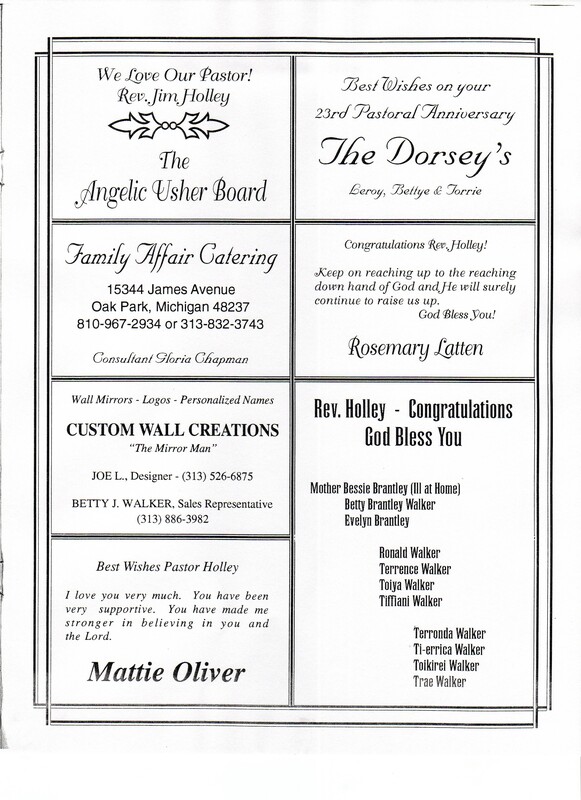 Holley and several advertisements from local businesses.